What is the Proposal Approval Form (PAF)? The PAF is a summary of information about the project that is used for internal review and approval and data management. It contains proposal information that must be routed via the U-M eResearch Proposal Management system and signed by university officials. The PAF is not submitted to the proposed sponsor. Why is a PAF needed? PAFs are required for all proposals. Before being sent to the proposed sponsor (see Section 3.06 of the Bylaws of the Board of Regents), every grant or contract application must be submitted for prior approval through the appropriate University channels. The Proposal Approval Form (PAF), which is part of the eResearch Proposal Management system, accompanies the proposal to record the appropriate signatures to indicate approval of the proposed project. How do you initiate a project or submit a PAF? Use eRPM to enter the PAF information and route it for approval. What does the PAF cover? Subcontracts - Does this project include Subcontracts, Subawards, Subgrants, Consortium Agreements, or Other subagreements to other institutions or agencies, external to U-M? Select the most appropriate "proposal type" (only one). The selection will determine how the project will be classified for reporting purposes. The proposal types correspond to M-Pathways financial tracking system class codes. See Class Codes for Sponsored Projects for help in assigning your proposal to a type. The sponsor is the agency or organization from which funds are being requested. Provide information about sponsor deadline, exact address, and contact information. To determine when the PAF needs to arrive at ORSP before the sponsor deadlines, please review the ORSP Deadline policy. Complete and accurate addresses must be provided to ensure on-time delivery. Some agencies designate a delivery point that differs from their program offices. Include the sponsor address on the PAF. There is usually no recourse if a proposal is received by the sponsor after the submission deadline. Grants.gov submissions require a PAF. See Route and Submit Proposal. If the University of Michigan is a subcontractor on a proposal being submitted by another organization, the "Direct Sponsor" is the organization from which we will receive the funds directly. The "Prime Sponsor" is the original source of funds. For example, if Dr. Smith at Wayne State University is applying for a research grant from NIH and plans to subcontract part of the work to Dr. Doe at the University of Michigan, for our records, the Direct Sponsor is Wayne State University, and NIH should be indicated as the Prime Sponsor. The Principal Investigator should be shown on the PAF as Dr. Doe. When a college or university is the direct sponsor with a prime sponsor, the ORSP Project Representative assigned to your department, who has responsibility for liaison with the Prime Sponsor (NIH in this example), will handle the processing of the proposal. Proposals to Private Sponsors are an exception to these procedures. Proposals to Private Sponsors--both as a Prime Sponsor and as a Direct Sponsor--are handled by the same Project Representatives. Thus, a proposal to the XYZ Company, as the Direct Sponsor, which may involve federal funds (where the federal agency would be considered the Prime Sponsor) should be treated as an industry-sponsored proposal. There is no restriction on the length of the title. Please spell out uncommon acronyms and abbreviations that would be unknown to the average lay person. For example, to anyone in the arthritis field, JRA is juvenile rheumatoid arthritis, but a lay person might not be familiar with that abbreviation. This will expand the ability to search for the project in the eRPM data set and make it easier to provide information to sponsors and the University community. Three keywords which do not appear in the Project Title SHOULD be designated. This will expand the ability to search for the project in eRPM data set and make it easier to provide information to sponsors and the University community. It is strongly encouraged that these key terms are added. eResearch Proposal Management accommodates the two types. For the existing ePAF system, the Principal Investigator as listed on the PAF is the individual responsible for the conduct of the research who also has administrative and financial accountability for the project/grant. The person should be a faculty member or equivalent--Instructor or higher in the faculty tenure track; Research Investigator or higher in the primary research track. It is inappropriate for overall project responsibility to be assigned to a postdoctoral fellow, research associate, house officer, or P&A staff member. PAFs showing such persons as Principal Investigator generally will not be accepted. Some grant programs are designed for beginning investigators such as individual post-doctoral research fellowships. Then the University advisor of the fellow ultimately will be responsible for the project and should be named as Principal Investigator on the PAF, and the Fellow should be listed on the PAF as the Sponsor Principal Investigator. When a postdoctoral fellow or research associate is under consideration for promotion to a faculty position, contingent upon his or her obtaining grant funding, that person may be listed as Principal Investigator upon submission of a letter from his/her department head or unit director stating that intention. If the project is funded, and the faculty appointment is approved, the archived records will be revised to show the faculty status of the Principal Investigator for purposes of University reports. In some nonacademic areas, individuals with responsibility for managing a unit with its own budget may be designated as a Principal Investigator with the concurrence of the Vice President for Research, or designee to whom that unit reports. Projects often involve a collaboration of two or more investigators with different expertise. Other faculty members can be listed on the PAF as Participating Investigators. Co-Investigators can be designated if they will be assigned their own budget (including agreed-upon allocation of indirect cost recoveries) and a University sub project/grant number for that portion of the proposed study for which they will be responsible. Principal Investigators receive monthly reports from Financial Operations which summarize the transactions recorded on the various sub-project/grants. The administrator designated by the Principal Investigator's unit to receive all communications related to this proposal and resulting project. There may be one contact for the proposal and another for the award phase if the project is funded. The PAF may be prepared by a departmental administrator or someone other than the Project Director. Provide the name and telephone number of the individual who prepared the PAF to facilitate any follow-up necessary. For research involving human subjects, an application must be submitted to the appropriate Institutional Review Board for approval before the research is started. The approval process is now handled online at http://eresearch.umich.edu. See to identify the appropriate IRB and learn more about obligations for protecting human subjects. Approval must be obtained from the University Embryonic Stem Cell Research Oversight (ESCRO) Committee for any proposed activity involving the use of human embryonic stem cells. Further information can be obtained by calling the Committee at 615-8936 or online at: http://research-compliance.umich.edu/human-pluripotent-stem-cells. Approval must be secured from the Institutional Animal Care and Use Committee (IACUC - formerly called UCUCA) for any proposed activity involving vertebrate animals during the proposed project period. Specify any recombinant DNA that will be used in this project. A Supplementary Proposal Approval Form R is required for classified research restrictions. If a sponsor intends to impose a restriction, contact your ORSP representative. Restrictions fall into standard, nonstandard, and classified categories. See for further details. Certain financial or management interests held by key investigators or their families in sponsors of research or entities directly related to the sponsored project requires disclosure and review about conflict of interest. The Principal Investigator is responsible for ensuring that every key investigator of the proposed research has either (a) certified that he or she does not have a significant financial interest or (b) has disclosed such interest(s) on an . The Radioactive Drug Research Committee Subcommittee on Human Use of Radioisotopes (SHUR) approves such use. See the /Occupational Safety and Environmental Health. Approvals are made through the Regulatory Management (purple). Go to begin the process. Authorized users of radioactive material must be approved by the U-M Radiation Policy Committee (RPC) by one of the conditions of the University's license issued by the Nuclear Regulatory Commission. The RPC is responsible for evaluating and approving the users, facilities, protocols, and policies related to the use of radioactive materials and radiation-producing devices. /Occupational Safety and Environmental Health is responsible for ensuring the radiological safety and regulatory compliance of such uses. Specify any human body substances used in this project, including blood products, all body fluids, organs, tissues, and pathology materials. Contact the Biological Safety Officer at 763-6973 for more information. Specify any agents to be used that can produce an infectious disease in plants and animals (including humans). U- M OSEH offers guidelines on Infectious Biological Agents and Recombinant DNA. Direct questions to . Security controls of these agents are more stringent as a result of the Patriots Act. A copy is available on the web site. Be sure to scroll through the whole page. Contact the Office of Contract Administration (763-3193) for a case-by-case examination of the proposed subcontract arrangement. It is important to maintain an accurate tally of the number of graduate and undergraduate students involved in research and other sponsored activities. Student involvement is a significant aspect of the educational mission of the University, providing students with valuable insights into leading-edge discoveries and first-hand experience in the application of new methodologies and techniques. Indicate if the project will be conducted off University property. If any work is to take place in a foreign country, please list the country. Intellectual property disclosure on file in the Technology Transfer office. Any materials transfer or nondisclosure agreements in place regarding this proposal? Do trade secrets, business data, or technical or scientific information that needs to be included or protected in a proposal? Contact your ORSP project representative immediately if you need help. It is the responsibility of the University to provide adequate space for the duration of any sponsored project. When a department chairman, dean, or director (or anyone responsible for assigning space within a University unit) indicates in the eRPM Proposal Approval Form that space is available and specifies the building and rooms, the space commitment serves two important purposes. First, it indicates to the sponsor that adequate space is available in which to conduct the proposed research or other sponsored activities. Second, the designation of a specific site for the sponsored project serves as a basis for the drug-free workplace certification, required in all federally sponsored projects. The lead time involved in submitting proposals may dictate that units "hedge their bets" regarding the assignment of space. Therefore, in some cases, the space identification may include the phrase "or equivalent space, as available." Sponsors may seek assurances that adequate space will be provided by the University to carry out the proposed research during the duration of funding. The sign-off by the Deans, Directors or their designees provides such assurances, and in turn, these commitments are provided to sponsors when the University receives inquiries in this regard. A careful review of this section is, therefore, essential. Faculty may have appointments in more than one department and may initiate a grant proposal in one department which involves space in another department. It is especially important that the appropriate space approval is obtained in such cases because it also indicates that the department whose space is involved approves submitting a grant through another department. Projects may involve individuals in two or more departments. All relevant space allocations should be documented on the PAF and proper departments must approve these space commitments. Many proposal applications include a section on available facilities and resources. The information on the PAF should correspond to that section and include all the laboratory space indicated. For projects involving space in the University Hospitals buildings, approval must be obtained from the appropriate University Hospital Administration office in addition to approval of the head of the department to which the space is assigned. The ORSP Project Representative should be contacted as soon as possible if adequate space is not available. For further information and procedures for obtaining necessary approvals, see the links above, and contact your ORSP Project Representative for assistance. U-M Sources: All cost-sharing commitments should be included in this section. If cost sharing is shown in the proposal to the sponsor, it should be approved on the PAF. Equally important, if cost sharing is approved on the PAF, it should be conspicuous in the proposal. Fringe benefits should be applied to the salary amounts to be cost-shared and added to the UM Sources column. Indirect costs on cost-sharing commitments should be calculated at the same rate that is being proposed to the sponsor. Sponsor section: The amount requested for the full proposal period should be included in this section and should reflect the budget in the proposal to the sponsor. Indirect costs should be included at the appropriate negotiated rate (e.g., research, other sponsored activities, on-campus, off-campus, etc.). NIH research grants: The initial Notice of Grant Award includes an indication of future years' recommended support. While awards are made a year at a time, the initial PAF should reflect the full term of anticipated funding. Toward the end of each budget year, ORSP will send the Principal Investigator a notice to submit a renewal, which may be returned directly to ORSP (unless there are changes in personnel or space assignments) along with the progress report and budget for the coming year to be submitted to NIH. NSF grants are awarded in much the same manner as NIH. The original PAF should reflect all years of support requested. Progress reports should be forwarded to ORSP. No PAF is necessary after the first year of the project period. Federal contracts (DOD, Dept. of Energy, et al.) are usually awarded for multiple years, with incremental funding provided as needed via a modification to the contract. The initial PAF should reflect the funding requested for the full term of the proposed project. Foundations: Most foundations award support a year at a time, in which case the PAF should be made out for one year only. If it is the sponsor's policy to make multiple-year awards, however, the PAF should be made out correspondingly. Check the individual foundation's guidelines and/or instructions for its method of making awards. When in doubt, contact the appropriate ORSP Project Representative. Each project must have a current PAF(s) on file covering the entire period of funding. If a PAF is submitted to cover only the first year of a project and a two-year award is received, for example, the original PAF must be amended to reflect the second year of support. If continued support is requested of the sponsor after the initial award is received, a separate PAF should be submitted to ensure that all of the conditions agreed to under the initial funding (e.g., access to laboratory space, cost-sharing, etc.) are approved and extended to the additional period of funding. With increasing frequency, sponsors require that some cost-sharing commitment is clearly included in the budget proposal and further stipulate that cost-sharing included in an award budget is a condition of the award and is subject to audit. It is important, therefore, that cost-sharing commitments be clearly identified on the PAF. Cost-sharing commitments must include appropriate project/grant numbers and department IDs, with appropriate signature approval. Except in very special circumstances, the project/grant should not be a project/grant from another outside sponsor. When cost sharing salaries, the project/grant number being used must be compatible with the type of activity involved in the project being submitted for funding. For example, when cost sharing on a research grant, it would be inappropriate to use a project/grant which implies a commitment to a non-research activity such as teaching. If a non-general fund account is used for salaries, that project/grant number should also be shown on the fringe benefits line and signed. No project/grant number need be provided for imputed indirect costs that may be included as cost sharing. Routing for approval occurs electronically. Reviewers provide electronic signatures. The Principal investigator must also sign the Conflict of Interest question, whether it is answered yes or no. Signatures of the Department Head and Dean (or their designees) indicate approval of the scientific content and method as well as of the administrative and financial content. Department and School/College approval are required for everyone stated as having an effort on the project (either to be charged to the sponsor account or shown as a cost-sharing commitment). Approval need not be obtained for consultants who are listed with 0% effort. Some sponsors do not require that a commitment of effort be stated in the application. There is, of course, an implied effort. At the present time, the University does not require that an implied effort be stated for in-house documentation. However, where effort of a participating investigator from another department is not explicitly stated, the department should be made aware of their faculty member's proposed participation in the project, since it carries with it an implied commitment of time. Department signature approval for the participating investigators should be obtained in such cases. Many Medical School faculty also have appointments at the Veterans Administration Hospital (VAH). Any project involving effort of faculty paid by VAH must be approved by the Associate Chief of Staff for Research at VA Medical Center before the application is submitted for the Dean's approval. Departments receiving a PAF for signature should not make any alterations without contacting the originating department. That can be handled within eRPM. After the Dean has signed the PAF, it is forwarded to ORSP for fiscal/legal review and approval, Project Representative approval, and University approval. For some sponsors, ORSP completes the submission, particularly to Grants.gov. The Proposal Approval Form must be signed by the appropriate department heads and unit directors of the Participating Investigators and the Co-Investigators and by the designated representatives of the offices of the Deans. The signatures of these designated representatives signify their endorsement of any proposed distribution of direct costs and indirect cost recoveries. Sub project/grants must be established after an award is received. The Principal Investigator will receive a Project Award Notice (PAN) and will be requested to submit a Project Budget (7471) form for each sub project/grant to distribute the funds authorized by the sponsor and to identify/confirm the various sources of cost sharing if any. Any adjustments/corrections in the distribution of direct and indirect costs from the data presented on the PAF should be shown on the 7471 forms, which should then be routed through the normal approval process. The funds in support of the direct and indirect costs cannot be distributed to the sub project/grants of the Co-Investigators until Financial Operations receives and processes the 7471 forms. 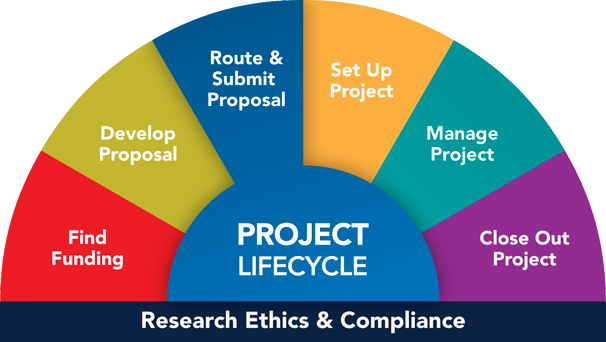 The eResearch Proposal Management system also collects information for those situations where faculty and staff from several units have participated in the development of the proposal and will collaborate in the conduct of the project. The percentage distribution does not necessarily have to reflect anticipated dollars to be expended or percentage of effort in terms of project appointments. The intent is to reflect the agreement among the project participants as to how they wish the "credit" for the project to be interpreted. Participation in externally sponsored activities is reported monthly in the Regents' Agenda Book. Entries in these listings are organized by sponsor and include the names of the Principal Investigator and any Participating Investigators or Co-Investigators. All of the academic units in which these participants hold appointments are identified. The eRPM data set is the source for the award listings. eResearch Training - Basics - Create a PAF Steps to create a PAF (i.e., first page), navigation, find errors, and route for approval. All detail to answer individual questions of the PAF included in onscreen & additional help.